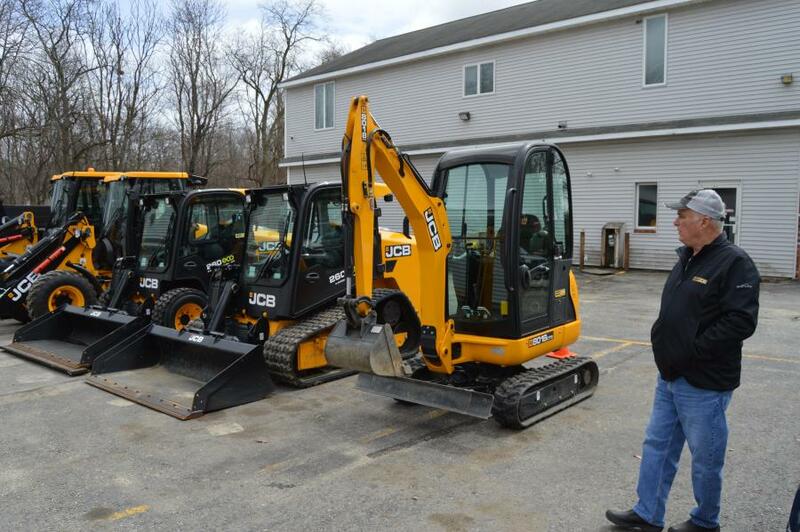 Alan Liguori of Chelmsford Landscaping Company, based in Lowell, Mass., looks over his JCB fleet..
Over the years, Chelmsford Landscaping Company, based in Lowell, Mass., has had a relationship with Northland JCB that owner Alan Liguori has difficulty describing. “Unbelievable” is the word he finally settles on. He particularly remembers a Friday afternoon at 4:30 p.m. when a machine was leaking hydraulic fluid. Liguori also remembers another snowstorm incident when Northland JCB showed up to fix a machine during the night. Chelmsford Landscaping Company can be described as an exterior commercial property maintenance company. According to Liguori, typical work includes asphalt repairs, site repairs, concrete sidewalk repairs and/or installations, sealcoating, line striping, and snow plowing. Typical customers are institutions, banks, and hospitals. The company currently has six JCB machines in its fleet, a 407 and 409 loader, a 260T and two 260Ws and a mini-1810. Chelmsford's goal is to eventually have eight or nine pieces of JCB equipment in its fleet. Chelmsford's sales representative at Northland JCB is Patrick MacLean. Liguori said he was willing to give the kid a shot, but he wanted a guarantee. And he got it. O'Leary told him that if he wasn't happy with the equipment, he would take it back. Liguori has found the same kind of response in the parts department, and the needed parts have always been obtained. In regard to the JCB loaders Chelmsford owns — the 407 and the 409 — Liguori is very happy with the turning radius, the loading capacities, and the overall comfort of the machines. 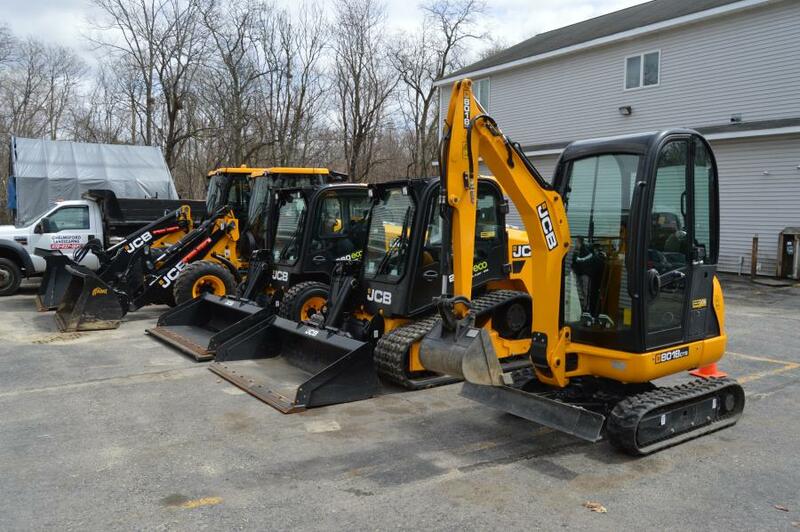 Chelmsford has two 2017 JCB skid steers. Liguori purchased his first one in 2004, a TD1110, which is a tracked machine. Liguori also finds the visibility to be “fabulous,” with extra sight area all around to the left-hand side. As far as capacity, he noted that it can pick up as much as a two-arm machine. Liguori noted that they also have a relatively large excavator of another manufacturer that they've had for about four or five years. It's not time to trade it yet, but when the time comes, he plans to move to JCB. In the meantime, Liguori thought they needed a smaller one, and he purchased a JCB 8018 at an auction. The machine is around 4,000 lbs, with a reach of about 8-1/2 to 9-ft. high. Liguori also let a friend who had a small landscape company borrow the 8018. He had been using another brand, and when he brought the JCB back, he mentioned the power it had. One was surprised at how quickly it took out a 7-in. stump, and Liguori told him about taking 12-in. stumps. Liguori stated that the 8018 is the machine that impressed him the most as far capabilities to do with the size. He knew what the loaders could do, and the 2004 skid steer had proved itself to him for 15 years. “But the 8018 was the one at this present time that shocked me with the capabilities that it had,” he said. In each of the machines, Liguori likes the spaciousness and the visibility. 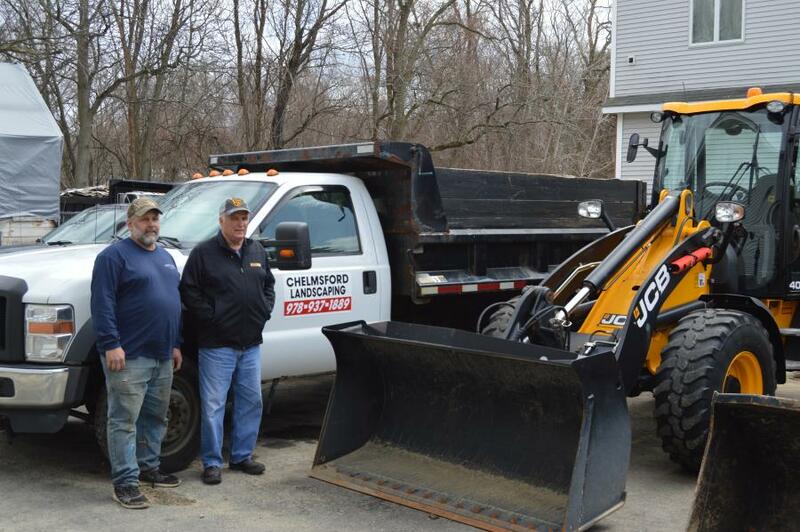 Besides the satisfaction with the machines, Liguori stated that Chelmsford Landscaping Company is thrilled to have such a nice dealer.